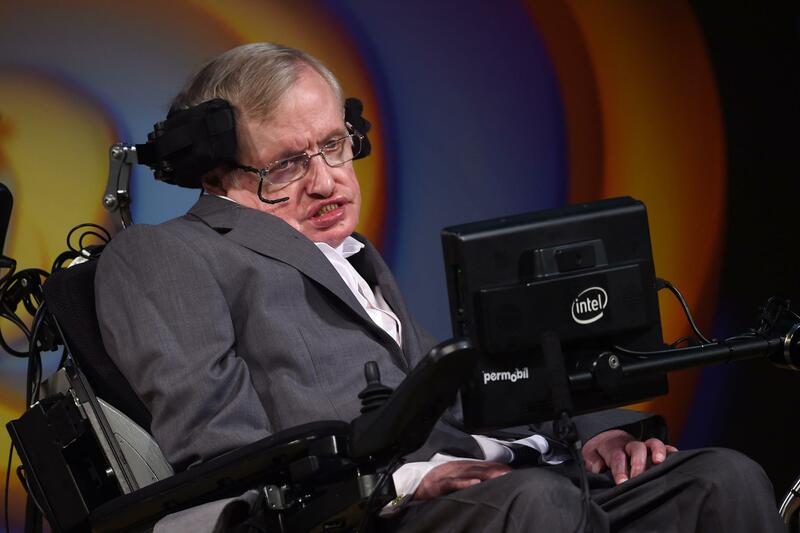 Stephen Hawking, the British physicist whose body was chained to a wheelchair by the ravages of a degenerative neuromuscular disease, but whose mind soared to the boundaries of the universe and beyond, died Wednesday morning in Cambridge, England, The Associated Press confirmed. He was 76. His death came from complications of amyotrophic lateral sclerosis, more commonly known as Lou Gehrig's disease, from which he had suffered since he was 20. Hawking, whose contributions to theoretical physics are frequently compared to those of Albert Einstein, was the Lucasian Professor of Mathematics at Cambridge University, occupying the same seat once held by Sir Isaac Newton. From that venerated position, he changed the way the universe is viewed by physicists and laymen alike - the former through his seminal theories about the nature of black holes and the origin of the universe, the latter with a best-selling book, "A Brief History of Time," that fulfilled his ambition by appearing on the shelves of airport newsstands throughout the world.